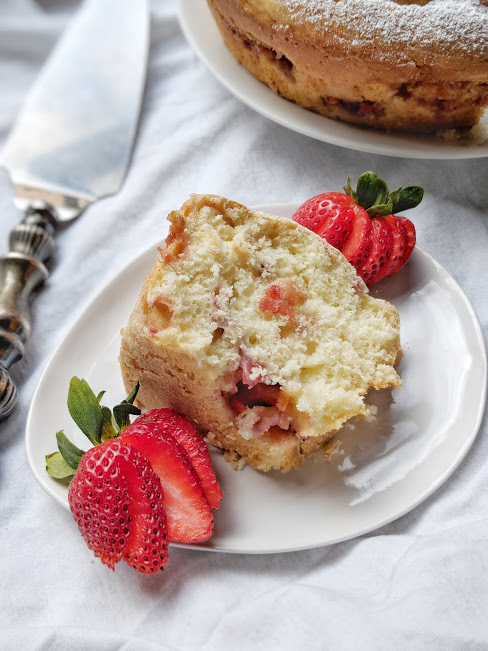 Strawberry Rhubarb Yogurt Cake is a delicious dessert to welcome a new season and would be great at any springtime celebration! Welcome to the first installment of the YBC Ingredient Challenge! This four-ingredient Honey Chai Nice Cream is a great treat all summer long! This Baked Banana Donut recipe is a healthier way to fulfill a donut craving. It makes for a great breakfast side, a snack, or a dessert! Poached Pears in Coconut Cream is a unique spin on an old holiday dessert. Try making this rich and comforting dessert for yourself! This hearty Almond Cranberry Biscotti is grain-free and drizzled with a bit of luscious dark cocoa hazelnut spread. Check out this recipe, because it's okay to indulge every now and then!